Absolutely FREE Installation, Front Door, Back Door, Garage Door, Motion Detector, Remote KeyFob and No Equipment Purchase & Save on 24/7 U.L. Monitoring Insurance Discount of up to 20% (check with your agent). No Dealers Please. 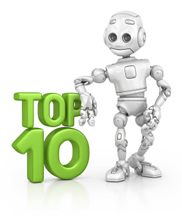 All you pay for is $30 per month, Includes 24/7 Monitoring & Service Warranty! 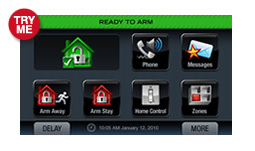 Part of Honeywell’s family of self-contained wireless controls, Honeywell’s dynamic LYNX Touch has tremendous end-user appeal—with a bright, full-color touch screen that simplifies security system operation. Whether arming or disarming the system, bypassing zones or leaving messages or reminders for family members, the graphics and intuitive, menu-driven prompts make operation crystal clear—reducing end-user training time and false alarms. GET 5 FREE KEYWORDS !